Many people have heard me talk about my Spirit Guide Francine. I also have another Spirit Guide named Raheim. Raheim works closely with Francine. As a matter of a fact, I really only know Raheim through Francine. I have never even had voice contact with him. Nine times out of ten when Francine doesn’t know something, she will ask Raheim. I can still remember the first and only time I saw Raheim. Please keep in mind that although I “hear” Francine, I have never seen her. So to see a Spirit Guide is a very unique experience to have. I was living with my three children – my two boys and my adopted daughter Mary – in an absolute tenement because my husband had threatened to kill us. I was putting my boys to sleep and Mary was in the kitchen. I looked in the front room and there was Raheim. I must say that he was stunning. Raheim looks like Korla Pandit, the organist who was on television in the 1950’s. He was very tall and bronze-complected. He was wearing a white turban and a Nehru jacket. Literally the minute I saw him – he was gone. Now, I only saw Raheim once, but I have never had voice contact with him. Francine says that he is extremely philosophical, wise and intelligent. I was once giving an extremely spiritual Indian gentleman a reading, and I asked him, “Have you ever heard of a master teacher who lived around A.D. 800 by the name of Raheim?” He was a bit startled, but told me that Raheim was considered to be a great and holy teacher. Raheim’s expertise is alchemy. He has done lots of research on physical and mental health, and intuitive magic. Please keep in mind this is not the type of magic that involves a spooky cauldron or spells. This was magic that ancient shamans performed. They believed that life becomes what you think and we can do this in a magical way. Raheim is always on call and gives his answers to Francine for me. I am fortunate to have such wonderful guides as Raheim and Francine in my life. P.S. You too have Spirit Guides that provide information and inspiration – and watch over you always. Your Spirit Guides want to be a part of your life. Learn more about your Spirit Guides with my book, Contacting Your Spirit Guide. It includes a meditation CD. Honestly, I think this is someone else who is doing a Sylvia page. 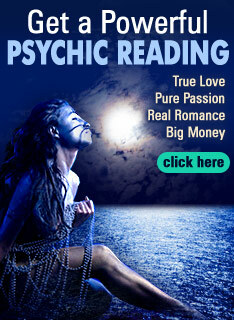 Sylvia isn't crazy about phone psychics, and this whole site is plastered with them. There are too many inconsistencies in this article. Everything I have read/seen from Sylvia Browne has been consistant, with no variations at all. She has even said that Raheim is NOT her spirit guide, he only assists Francine sometimes, so I'm not quite sure where this article comes from.....Syvlia also has an official site, this is the site that you should go to if you want accuracy (Novus Spiritus). Everything I have read on that site is consistant to what she has been saying for YEARS. Believe me, I LOVE Sylvia, and it really disturbs me to see all this inaccuracy on this page.........If this is someone else trying to pull fame off of Sylvia, honestly, shame on you. People (me included) try to follow her teachings. Greetings from way up north! I was shoveling snow. An American Bald Eagle flew over me and dropped 5 feathers just behind me. I went to pick them up. On a spiritual level, how would you interpret this message of 5 Eagle feathers? Or maybe there is no message or meaning at all to this. Thank you. Sylvia - would you please schedule some actual TV appearances, so we can all see and hear you for ourselves and where you are coming from! That would clarify a lot of things. Thanks. It is hard to discount every thing she has ever said, over one minor quote that is not explained by her. I would have appreciated more of an explanation from her, but maybe she will explain later on. There is too much proof in her work and studying. I have experienced it myself. But with this small unexplained detail of the Francine issue, we must also look out for our own truth. Be aware that we are in control of finding what works for us. Have I seen prophetic dreams? a few that I can not discount, YES. Have I seen time displacement that can not be explained? Yes. Have I unexplainably seen my phonebook open to an answer that I need now in life appear? Yes. Have I heard kids make predictions that they know nothing about? Yes. Have my relative made predictions that they never could have known? Yes. So by this, I am asking myself Why? And I have found a great many answers through her books, without even asking her specifics, the answers have come. Such detailed answers could not be explained. How is it that she has been in contact with, or known others that have been in the same boat? There are others like us out there, and it can't be denyed. So I will not discount every thing she has said, over one unexplained question. She will answer when she wants to tell us. My reflection on this is.... She manifests what she wants in life. At this point of time in her life, she does not want to see Francine. Talking to Francine every day, is enough. Denying seeing Francine, is a way of putting the picture of Francine out of her mind. At some point, in one of her books, she said she had to ground herself, and stay focused on the earth here, or she would live on the other side. That is why she does not like to astral project. It is hard enough to stay grounded here on earth being a psychic. But I am guessing. yes Sylvia did say that she saw Francine when she was a little girl and that she appeared at a family outing....Hummm Sylvia I love your books and believe a lot of the things you write ... perhaps you should clarify this statement.